Fast Quote or Just a Question? Proper wine storage is very important when you have to keep wines for a long time. Most wine collectors who have the right budget and space opt to invest in Texas custom wine cellars to ensure that their collection won’t go to waste. You may recall that wines should be kept in a dark area with a stable temperature and humidity level to keep wine’s desirable characteristics. 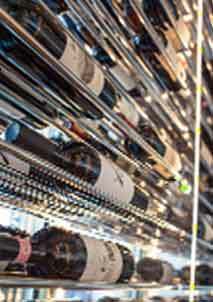 A good wine rack is an essential part of proper wine storage. A good wine rack is an essential part of proper wine storage, so it is recommended that you choose a Texas custom wine cellar designer and builder who can assist you in choosing the best wine racking system that suits your needs, budget, and requirements. 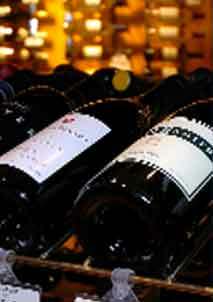 Wine racks are commonly designed and crafted to allow the wine bottles to be stored sideways. The reason behind this is to keep the cork moist by letting it remain in contact with wine. This will keep wine’s quality by preventing oxidation that can cause wine faults. 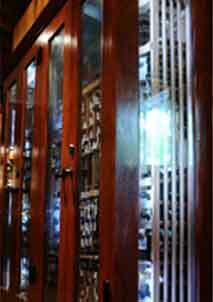 Metal wine cellar racks have many advantages over wooden wine racks when it comes to aesthetics and functionality. There are so many reasons why metal wine racks are the favorite choice of many wine cellar builders. 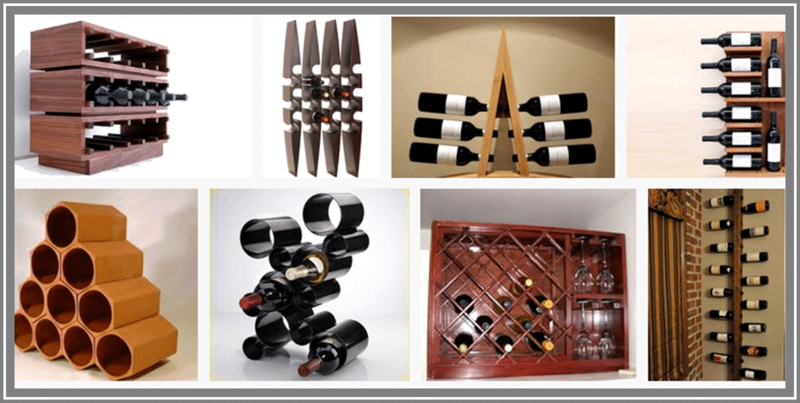 Metal wine racks are considered by many commercial businesses, like restaurants and wine stores, and also in most Texas residential wine cellars because of their versatility and modern appeal. They can easily fit in narrow spaces and allows easy visibility of wine labels. Another reason why metal wine racks are trusted by many Texas wine rack manufacturers is their cool surface which helps maintain the cool temperature required for wine to age properly. Not only can metal wine racks function as a wine storage solution, but as decorative pieces as well. In fact, they can complement any existing décor in many parts of your home. They can be created in various designs and shapes since metals are malleable by nature. The price of metal wine racks may vary depending on the type of metal that is used for the wine rack and the size. Just keep in mind that the area must be free from factors that can damage your wines: direct sunlight, heat, odor, and vibration. 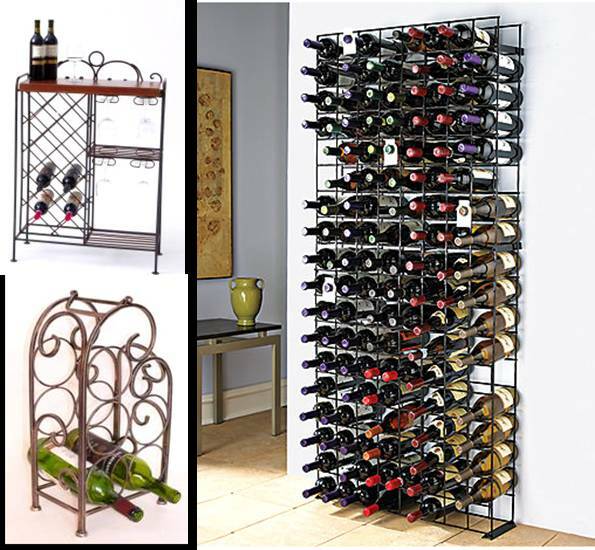 Wrought iron wine racks are the most traditional type of metal wine rack and a bit expensive, but are worth investing in. 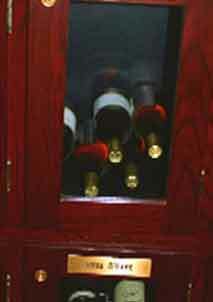 They are sturdy enough to hold a number of wine bottles and create a classic look in a wine room. Meanwhile, metal wine racks made of steel or chrome are usually used as modern decorations for homes and commercial areas with modern architectural design. Starting your own wine cellar project? Contact Wine Cellar Specialists today at 866-646-7089! They will assist you from the design phase until the completion of your dream custom wine cellar. Visit their website at http://www.winecellarspec.com/ to learn more about this wine cellar builder that cares about you and your wines.